SMART & BIGGAR IS ABOUT AS OLD AS THIS COUNTRY. YET THEIR WORK REQUIRES THEM TO IMAGINE AN UNKNOWN FUTURE. 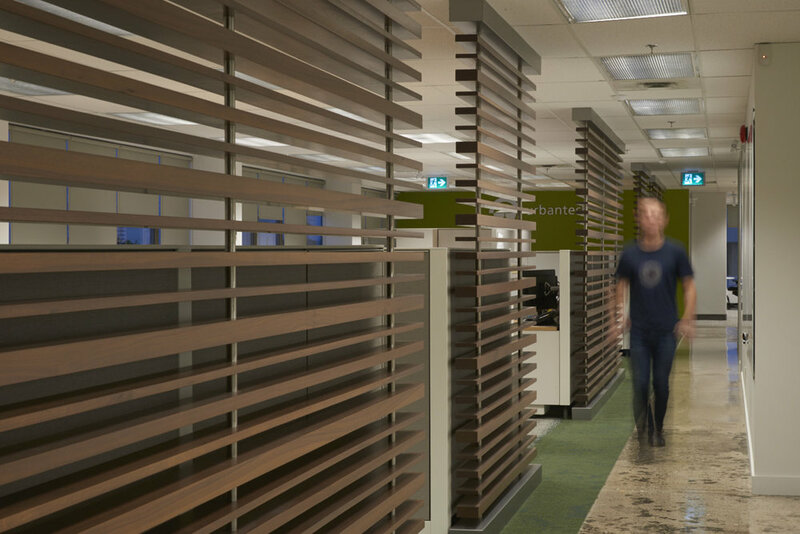 WE GAVE THEIR TORONTO OFFICE A SLEEK DESIGN THAT PROUDLY LOOKS IN BOTH DIRECTIONS. Smart & Biggar is immersed in both present day social issues and the anticipation of future trends. But they are also a company that is more than a century old, so their work rests upon a proud history. It is this grounded position, demanding views both forward and backward looking, that informs SDI’s design of their Toronto home. 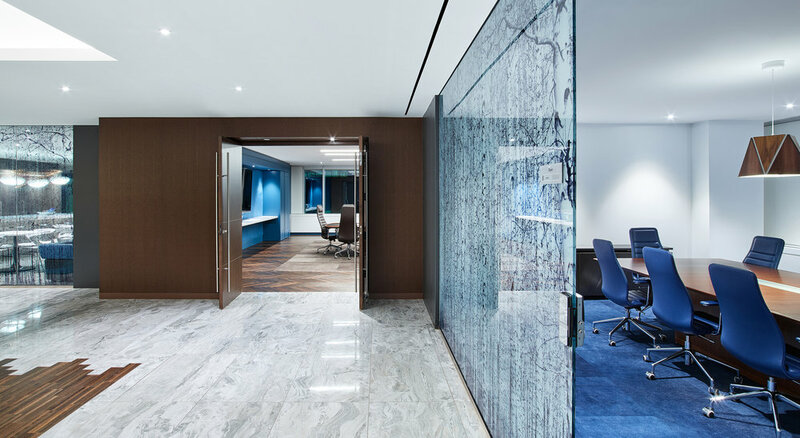 The firm wished to provide a more modern, open environment for their clients than traditional legal offices. The “front of house” area was designed to be spacious and flowing, with a generous reception area moving transparently into a café space that is shared by both staff and visitors. This transparency permits the interior reception area to borrow ample daylight from the perimeter windows, and it allows clients to feel welcomed into the Smart & Biggar family home. 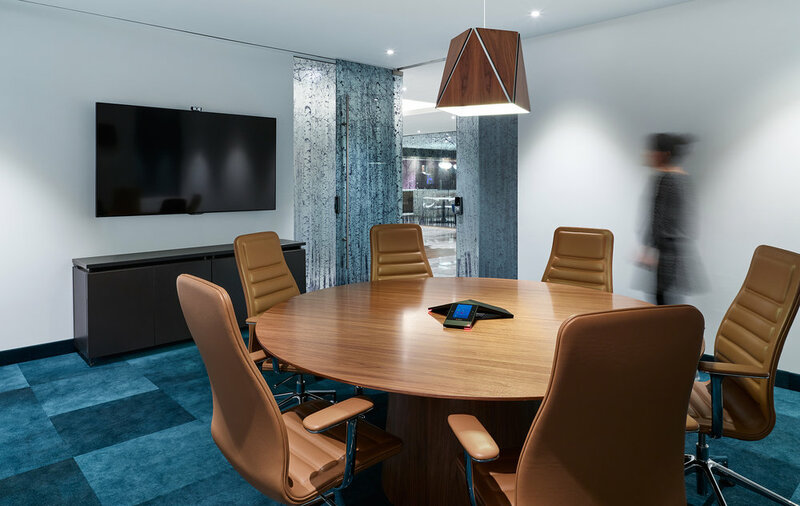 Several spacious meeting spaces are also accessed from reception and the waiting area provides room for several distinct groups in a lounge-like atmosphere. 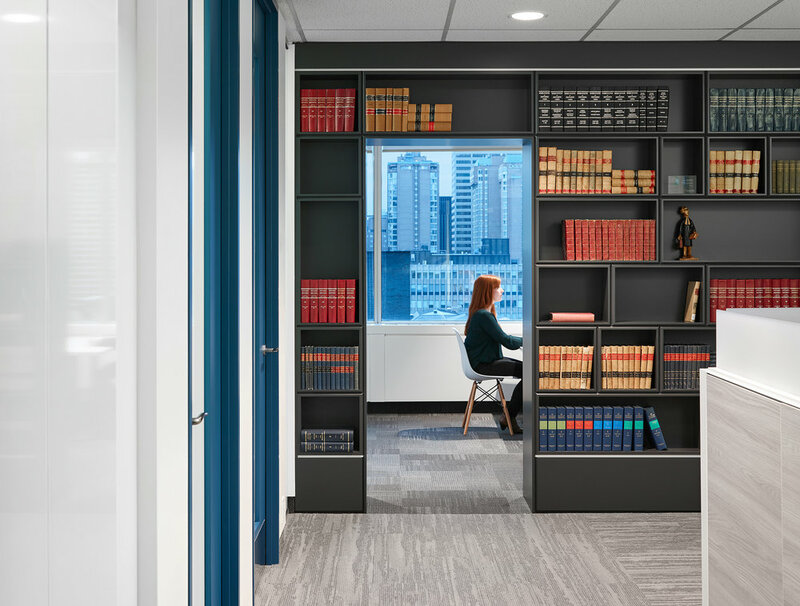 While the back-of-house follows a more traditional legal office approach to space arrangements, care has been given to ensure that staff have access to daylight and generous break-out, lounge, meeting and reference areas. At the time when Smart & Biggar was founded, Canada was in the process of being carved out of the rocks and trees that are native to our country. 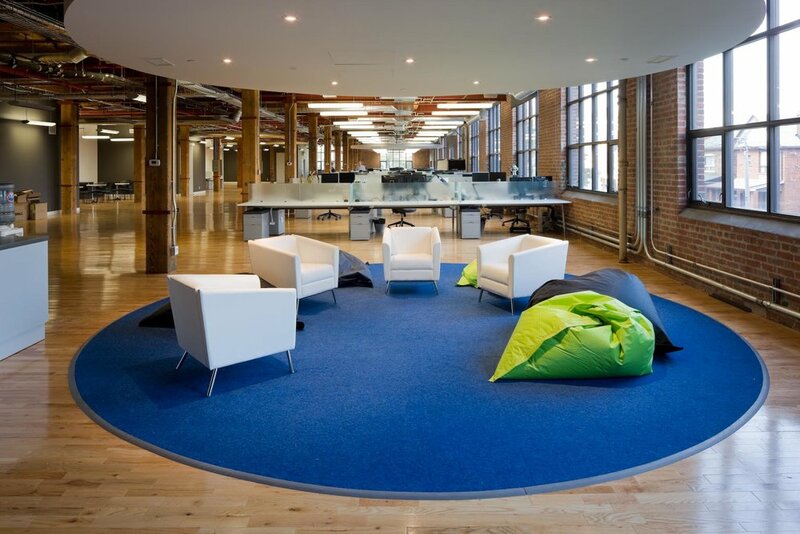 Those historic and geographic references form a conceptual foundation for the development of the design vocabulary for the new office. Naturally, for a business that is as focussed on today and tomorrow as it is on its past the design must avoid overwrought cliché, so these concepts are interpreted and rendered into an appropriately sophisticated and contemporary vocabulary.